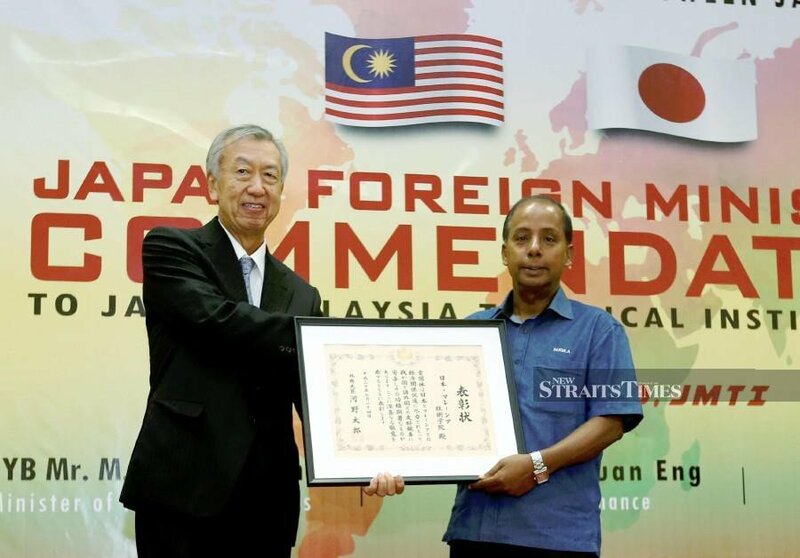 IPOH: Since July last year, Unified Examination Certificate (UEC) holders have been able to apply to enrol in the government’s Technical and Vocational Education and Training (TVET), says Human Resources Minister M. Kulasegaran. He said this was part of the minis­try’s efforts to attract more students to join institutions offering these programmes. Previously, only those with SPM qualification were accepted into such institutions. Kulasegaran said the institutions welcomed not only UEC holders but just about anyone, regardless of race or religion, from Tamil or religious schools. “Thus, we need to loosen the intake rules to get more people to take up TVET,” he told reporters after a dialogue session with the National Union of the Teaching Profession (NUTP) at the Ipoh Indus­trial Training Institute on TVET options for students. Kulasegaran said his ministry was also discussing with the Education Ministry to look into the possibility of lowering the intake age to 16. “We want students who are not so academically inclined to pursue the courses of their choice,” he said. Besides that, Kulasegaran said he had also met with orang asli village heads to get more of their children to take up TVET, some of whom were 18 years of age but possessed only Form One qualification. He said some of them were in the process of being admitted into the technical schools nationwide. “There are still 35% of places available. We must find ways to tap the talent we have in the country,” he said. Kulasegaran also noted that 94% of trainees from such institutions were employed upon graduation. These institutions, he said, had existed in the country for many years, with the first set up in Kuala Lumpur in 1964, yet many people were unaware of it. “Through dialogues with NUTP and other stakeholders, we want to reach out to more students,” he said. TAWAU: Director of the Tawau Vocational College, Ahmad Fakhrurasi Hamzah, is confident its international cooperation with seven Taiwan institutes of higher learning will strengthen Sabah’s Technical and Vocational Education and Training (TVET). He said they signed a memorandum of understanding with these universities and colleges during a recent benchmarking visit to the country and is now in the midst of streamlining the agreement, including taking into consideration the standard operating procedures of the law. He said it was understood that equipment such as machines for learning at Taiwan’s higher learning institutions are replaced every three years and, hopefully, this will be donated to the Tawau Vocational College. “They have already shared their intention of donating their equipment and we hope this can be done,” he said. 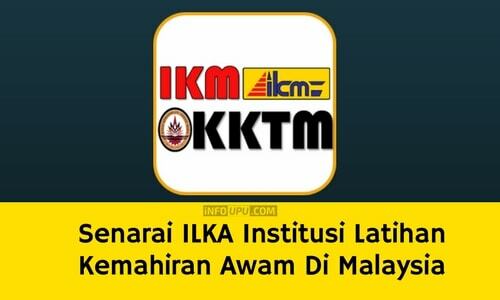 Commenting further, Ahmad Fakhrurazi said the inking of the MoU is to provide lecturers from the Tawau Vocational College with the opportunities of advancement at higher learning institutes in developed countries to enhance their competitiveness. In addition, he hoped that the development would be a starting point towards producing competent and skilled students. Meanwhile, Vice Chairman of Taiwan’s Sabah Branch Alumni Association, Pang Thou Chong said Tawau Vocational College has a huge potential and that TVET is very important for the job market and also provide good prospect for the State. He hoped the initiatives and cooperation would enhance the students’ skills particularly in agriculture, mechanics, construction, culinary and electronics in view of the job market for graduates with TVET skills. Comment: Such tie up definitely benefit our students as well as cost savings from the purchase of these machines, some of which maybe very costly. But am just wondering, why would the Taiwanese higher learning institutions donate to Malaysian counterpart rather than to their local TVET institutions? Are they so rich or even their local TVET institutions consider those machines would be too outdated by then? IPOH, March 16 — M. Kulasegaran said he is leaving the appointment of a new chairman for the Technical and Vocational Education Training Empowerment Committee (TVET) to the Cabinet. Permatang Pauh MP Nurul Izzah Anwar vacated the position along with all her other positions in PKR in December, following allegations of nepotism in the government. The human resources minister also said there was no rush to choose a replacement. “The committee can still go on despite not having its chairman there,” he said. He said there are mechanisms in place to ensure the committee is able to perform its functions temporarily even without a head. “My ministry and the Education Ministry are working together. At the end of the day, it is the officers who are doing the thing,” he added. The committee is tasked with improving the country’s vocational education system. Kulasegaran also explained that the PKR MP’s departure did not disrupt the committee’s review. “We will have a conference in either April or May to present the findings of the committee,” he said. The minister then credited the committee with improving awareness on vocational training and its innovations. He said his ministry was also aiming to increase vocational training enrolment by increasing TVET hours. “Now its operating hours is from 8am to 5pm. We are discussing with TVET directors to extend its hours to 11pm so that those working can study part time there. “There are many types of training available. We are also getting specialised lecturers,” he added. Comment: Extend operating hours to 11pm? Great idea but perhaps efficiency should be the priority, otherwise expenses may baloon with more officers ‘makan gaji buta’. Banglasia adalah sebuah filem mengenai pekerja asing dari Bangladesh yang datang bekerja di Malaysia. Ceritanya adalah mengenai perjuangannya mencari rezeki yang mencukupi sambil mengharungi pelbagai isu-isu kontroversi yang berlaku di Malaysia. Dah tonton Dirty Harris yang asalnya seorang pegawai polis, datang ke Malaysia boleh pula jadi pekerja binaan, tukang masak, mekanik kenderaan motor, juru elektrik dsbgnya?? KEMENTERIAN Sumber Manusia bercadang menetapkan syarat kepada rakyat tempatan termasuk warga asing yang ingin bekerja dalam bidang kemahiran di negara ini perlu memiliki Sijil Kemahiran Malaysia (SKM) terlebih dahulu. Timbalan Menterinya, Datuk Mahfuz Omar berkata, cadangan berkenaan dibuat selepas mencapai kata sepakat dalam mesyuarat Pembangunan Kemahiran yang diadakan, baru-baru ini, dan akan dilaksanakan menerusi Rancangan Malaysia Ke-12 (RMK12) sebagai persediaan untuk lima tahun akan datang. Katanya, warga asing khususnya yang mahu bekerja perlu mempunyai SKM dari negara ini, bukannya menggunakan sijil kemahiran dari negara lain. “Kita mahu semua industri di negara ini mempunyai persediaan dan persiapan lebih awal bagi melahirkan tenaga kerja mahir. “Dengan cara ini, barulah anak tempatan mendapat pasaran kerja lebih besar memandangkan majoriti yang memiliki SKM sudah tentunya rakyat Malaysia. “Saya yakin industri yang ada dalam negara kita memerlukan pekerja yang mahir dan boleh memberikan hasil keluaran terbaik kepada industri di tempat mereka bekerja,” katanya dalam sidang media selepas mengadakan lawatan kerja di Institut Latihan Perindustrian (ILP) Kota Bharu, hari ini. There has been a lot of talk of the new Malaysian Technical and Vocational Education and Training (TVET) Roadmap. However, there are plenty of unanswered questions in relation to the direction of TVET, although these programmes benefit the B40 the most. Firstly, there is no single body in charge and TVET courses are provided by a couple of ministries. This has resulted in different standards set by each of these ministries, although the human resources minister is supposed to head this. Secondly, what skills are expected of a TVET graduate? Currently, students enrolled in the Sijil Kemahiran Malaysia (SKM) programme largely comprise of very low achievers at school. Some are hardly able to read and write. With the development of technology and the coming of Industry 4.0, the industry expects graduates with innovative and higher-order thinking skills. But school-leavers with these skills do not consider TVET as a study option and go on to take up degree courses. These conflicting issues need to be addressed before students are counselled to take up TVET courses, so they are clear on their expectations. Next, it is getting very difficult to promote TVET courses to school-leavers because they perceive TVET courses lead to low-level and lowly-paid jobs — those equated with cheap foreign labour. The government needs to address this perception. Teachers also need to be educated on these possible high-paying jobs. Having addressed the above, the next biggest issue is the demand for skilled workers. We understand that there are more than two million foreign workers who are either semi-skilled or unskilled working in this country. So, what is the policy on the dependence on foreign workers and the subsequent replacement with a more locally-skilled workforce? Assuming these two million foreign labourers are to be replaced with local TVET graduates over the next 10 years, wouldn’t that mean about 200,000 TVET students have to be trained annually? How are we going to do this? Currently, skills training is provided by both the public and private institutions. It is very important that the government makes clear the role of the private sector in meeting the demand for training. The survival, sustainability and investments by private skills training institutions greatly depends on a clear policy by the government. Due to neglected funding, quite a number of private training institutions have ceased operations. Surely the human resources minister must realise that without proper funding, it is virtually impossible for the B40 lower-income populace to afford education. The private training institutions have the capacity to meet the training needs of half the above demand. But the question is the funding. It is a known fact that the majority of students who enrol in these skills programmes belong to the B40 group and would be heavily dependent on the funding. The government needs to allocate the required funds or loans to cater for the underprivileged. In conclusion, the TVET curriculum needs to be relooked to meet emerging technological changes. Developing local human capital should take precedence in meeting the industry demands rather than being overly dependent on foreign labour. To make this happen, the quota system of funding must cease, thus enabling all qualified students to pursue skills courses. This should be taken as a national agenda. If this is not addressed, we will have to face the consequences of national socio-economic problems, thus affecting the future growth of the country. Assoc Prof Elajsolan Mohan is the president of the National Association of Private Educational Institutions (Napei). Comment: Yes, I agree that the private institutions be given more, if not equal funding vs government institutions. However, things are not moving that way, thus far. Perhaps, it’s also time that private institutions be more creative in packaging their education but must be careful in not going against the Act 652 (National Skills Development Act). I’ve seen how some of these private institutions done in a way that benefit the students, industry & themselves! So, students, if you have problem getting into public institutions or having financial constraints with your fees but yet interested with skills courses, fill up the form here. It will be another first for Malaysia this April when it hosts the inaugural international culinary championship known as WorldChef Battlefield – Battle of the Masters (WCB 2019). The culinary championship is the first of its kind not just in Malaysia but the whole of Asia and will take place from April 4 to 7. The event will be chaired by professional chef and Masterchef Malaysia judge Chef Zubir Zain, while the judging panel will be headed by Otto Weibel from Switzerland, who is accredited by the World Association of Chefs Societies. Other members of the jury comprise industry professionals from Switzerland, Sweden, Germany, Hong Kong, Singapore, Indonesia, Thailand, the Philippines and Malaysia. “This championship brings a new perspective to the Masterchef culinary reality TV show which relies on amateur chefs as participants and Iron Chef where experienced guest chefs challenge the show’s resident ‘iron chef’ in a timed cooking battle built around a specific themed ingredient,” Zubir said. “In WCB 2019, which is jointly organised by DRS Proevent and CZ Restaurant Group, culinary competitions are taken into an arena that reflects real life situations through a series of culinary battles among professional chefs from around the world,” he added. Professional chefs from Asia as well as the African nation of Mauritius will compete for the title “Champion of the Masters” in culinary challenges throughout the event. WCB 2019 is supported by the Professional Culinaire Association and endorsed by the World Association of Chefs Societies. The culinary championship will be recorded live and broadcast throughout Asia. There will be 16 teams of four chefs each, preparing culinary dishes to be judged by nine jury members. Another 10 judges will assess the chefs’ skills in the kitchen, and only the best four teams will compete in the final stage. The champion team stands to win a cash prize of US$12,000 (RM49,570). 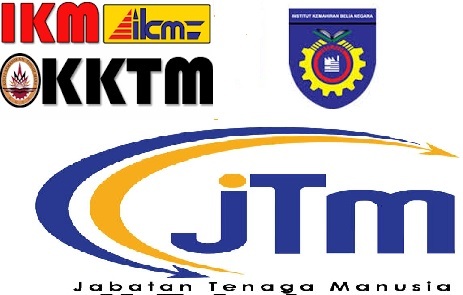 Analysts said companies such as Petroliam Nasional Bhd (Petronas), Sapura Energy Bhd, Alam Maritim Bhd, Barakah Offshore Bhd and others has hired local professionals and technical and vocational education and training (TVET) graduates to reduce costs, which is part of the companies’ cost cutting measures. KUALA LUMPUR: Skilled local workforce has helped major oil and gas (O&G) cushion the global weak oil prices, ringgit fluctuations and foreign exchange (forex losses) over the past few years. Sunway University Business School Professor of Economics Dr Yeah Kim Leng said the O&G sector is a very specialised high technology sector which requires a lot of specialised skills to work at oil rigs and fabrication yards. “In the early days, these niche areas required foreign expertise and was dominated by expatriates but now firms such as Petronas and Sapura no longer hire foreign professionals but source local engineers from the O&G field. “This in turn has enabled the country to save a lot in terms of foreign exchange as it is very expensive to pay the foreign engineers. “Now Malaysia is able to produce its own local oil and gas engineers, technicians and supervisors,” Yeah told NST Business recently. Yeah added the sector is also a hotbed for hundreds of TVET graduates every year to fill in various positions across the entire oil and gas supply chain both in Malaysia and abroad. “Petronas and other companies for example are growing globally and they are helping the country’s workforce by employing some of these TVET graduates to work on oil rigs and at fabrication yards,” he said. Meanwhile, an O&G engineer at Jurunature Sdn Bhd said the sector is growing robustly all over the world and it will require TVET graduates fill up the various portfolios available all over the world. “Petronas for example is a Forbes 100 company with oil and gas exploration activities all over the world and it will farm out all the contracts to O&G firms such as Jurunature, Barakah Offshore, Sapura and foreign players as well. He added many O&G firms are also teaming up with foreign players to save cost as well as tap and leverage on each other’s strengths and synergies. “It has been tough for some O&G companies, and some have even closed shop. 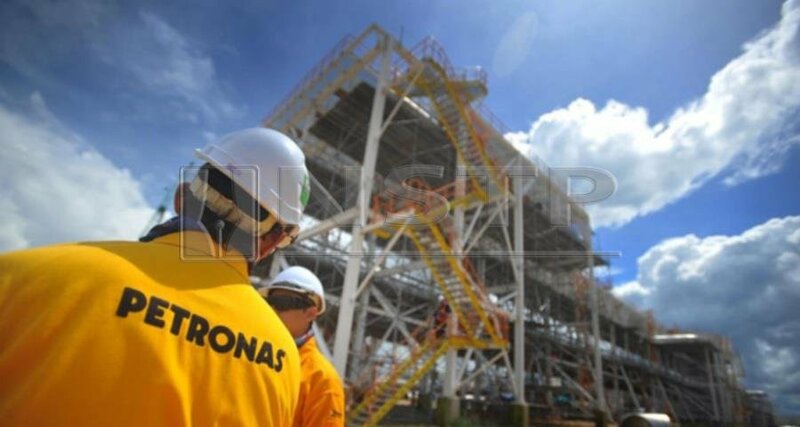 But for others, they team up to prepare for the tough road ahead such as Petronas which is expanding in various countries as well as Sapura which recently teamed up with Sapura OMV,” said the engineer. Meanwhile a source at Petronas said the national oil firm is committed in collaborating with TVET graduates via the Petronas Training Institute to produce quality O&G workforce. However Universiti Kebangsaan Malaysia Associate Professor Dr Mohamad Sattar Rasul said more can be done to help TVET graduates as the contributions by the institute is minimal. “Petronas can do more by introducing an apprenticeship programme to help them secure jobs once they graduate from TVET institutes. “Petronas can implement the national dual training system which absorbs the graduates into the sector and become part of the country’s oil and gas workforce,” he said.